Not just a world leader in premium passenger cars, Mercedes-Benz is also the world's largest manufacturer of commercial vehicles, setting standards since the first van was created in 1896. As of today, over one million Mercedes-Benz Sprinter vans have been sold worldwide: an impressive testament to our expertise. From sales to service and parts, we can meet all of your business Sprinter needs with the same attention to detail we give you for your personal vehicle. 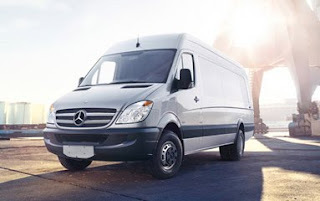 Contact Tom Brookshire at 425-275-5743 to see how a Mercedes-Benz Sprinter can be an affordable addition to your business.